You asked: what is a tub floor? We answered. If you are wondering what is a tub floor, in regards to a camping tent, we have answers for you. A camping tent is designed to protect you from the elements while sleeping in the great outdoors. All tents are designed with a tub floor, to make the tent durable to the elements and keep you dry while you sleep. But that doesn't mean you know what a tub floor is in a camping tent, does it? Former camping expert, David Sweet offers his expert advice and camping tips to help you make reliable decisions when purchasing camping equipment, and so you can understand exactly what it is that your essential camping equipment is supposed to do. There is a lot to learn about camping, so we are all thankful to have experts like Mr. Sweet to explain complicated camping issues like; what is a tub floor. Just imagine it might be like a real bathtub at home, but in your camping tent. We doubt you'll want to take a bath in your tent though, that might defeat the purpose of the tent. But you get the idea. Now the answer. Question: What is a tub floor? A tent is your shelter at the campground. It's where you'll sleep at night and where you'll store your clothes and other gear. It should have features that will protect you from the elements. You want it to be sturdy enough to stand up under windy conditions, and it should keep you dry when it rains. Besides having a good rainfly for a roof, it needs to have a good floor to protect it from rain and dew that collects under your tent. A tent with a tub floor will give you the best protection. Answer: A good tent will have a one piece tub floor, which means there are no cross-seams connecting the floor material. Even though floor seams could be sealed they are subject to wear and tear and they would require more frequent re-sealing. A tub floor gets its name from the way the material continues up the walls about six inches before being sewn to the walls. The purpose of this is to keep the side seams elevated so that no seams are touching the ground. A floor made out of heavy gauge polyurethane-coated nylon taffeta or oxford nylon will provide good waterproof protection. 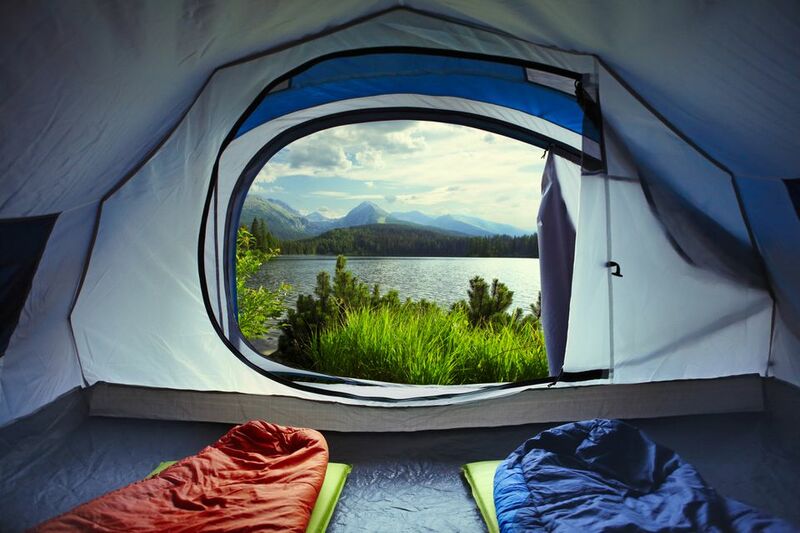 Try to keep the inside of your tent free of debris. A whisk broom comes in handy for sweeping up dirt, and a simple throw rug placed by the tent door works well for stepping inside the tent when you have dirty boots or shoes on. Go barefoot in your tent. Take off your shoes and place them on this rug until you go back outside. This keeps the dirt from your shoes on the rug, which you can take outside to shake out. Last, but not least, use a ground cloth under your tent. This will help protect the tent floor from the abrasion of sticks and stones, and it adds an extra layer of waterproofing below your tent. Be sure to tuck the ground cloth a little bit under your tent so that it doesn't stick out and collect rain that will run between the ground cloth and your tent floor.